These adorable and scary visitors were our only trick-or-treaters today, and we were thrilled to see them! Mama and I enjoyed seeing the girls’ Mini Mouse and Chucky costumes, but Ti’s zombie eyes were especially startling and fun. Paisley had a few costume changes; since she wasn’t a fan of the witch hat or the gondolier’s hat, she wore her Wonder Woman costume on our neighborhood walk. Plus, our dear friend, More Diane, is visiting! Hooray for sleepovers! 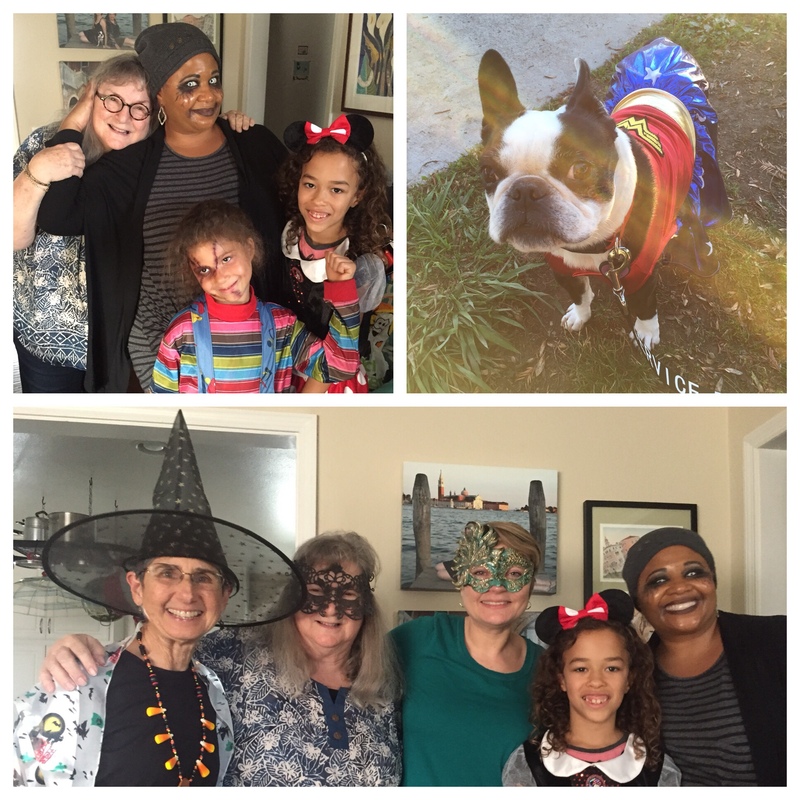 Today’s #OneGoodThing was our wonderful Halloween visitors! Day 304 of 365. And Day 1,035 in a row (here’s the first 366 & the following 365)!